Check out Chowking's Pork Chao Fan Combo Meal Promo! SCREENSHOT, SAVE the e-coupons below to get sulit Pork Chao Fan deals, and just PRESENT the screenshot upon purchase at any Chowking store near you. 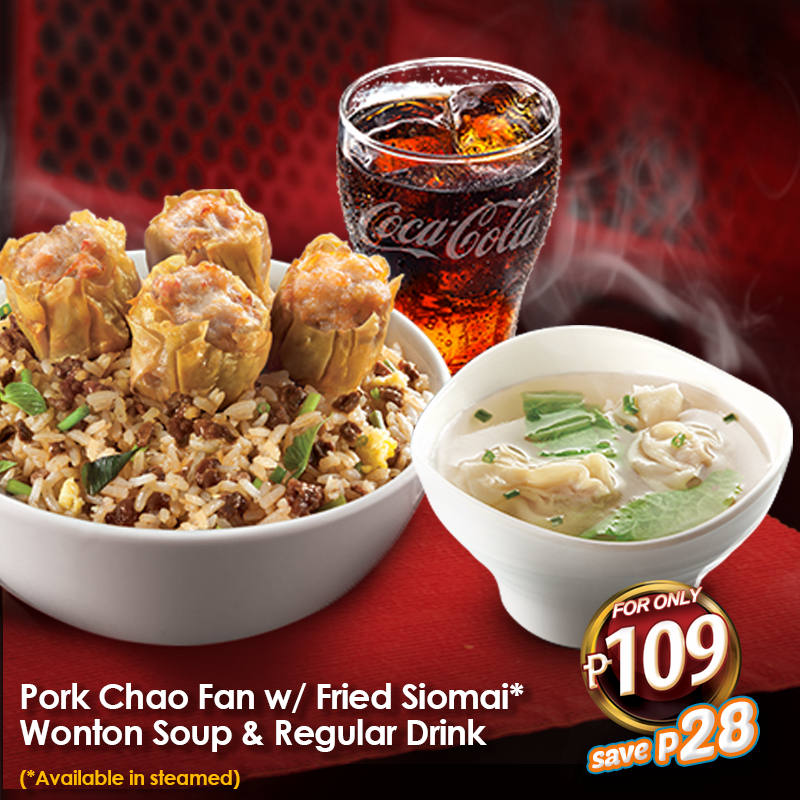 Promo runs until November 11, 2017 only in all Chowking stores nationwide! 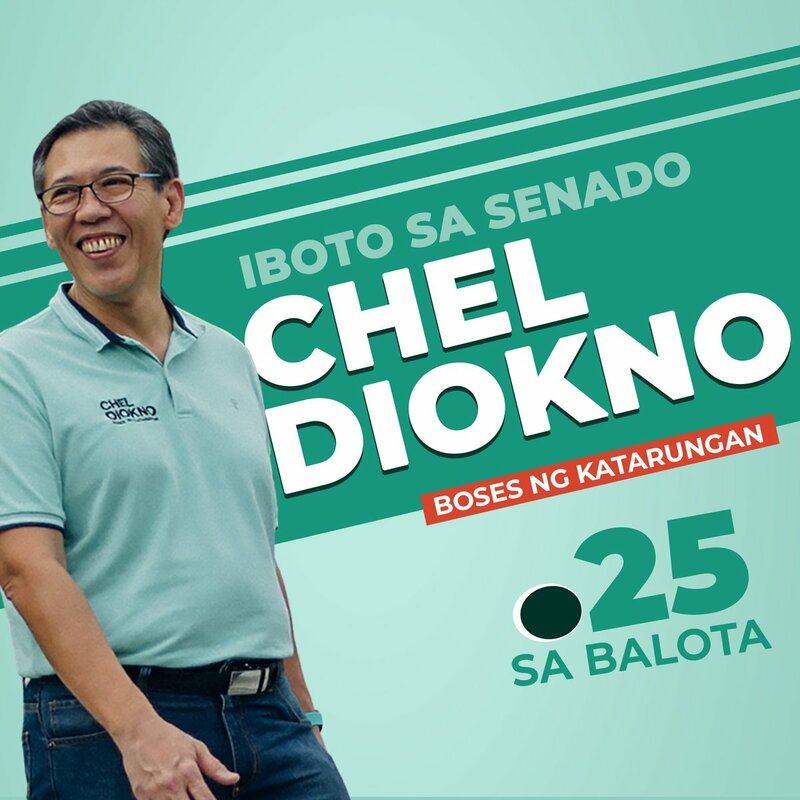 Valid for dine-in and take out transactions only. 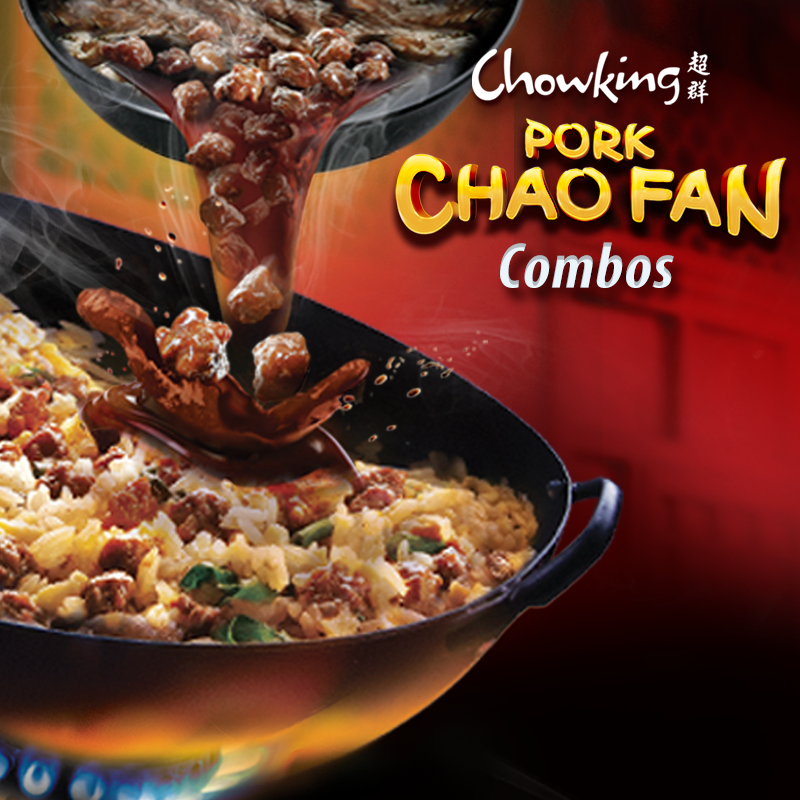 One digital coupon per transaction only. Get Chowking's meatiest, freshly-fried Pork Chao Fan with Fried Siomai + Wonton Soup + Regular Drink for only P109 (save P28)! 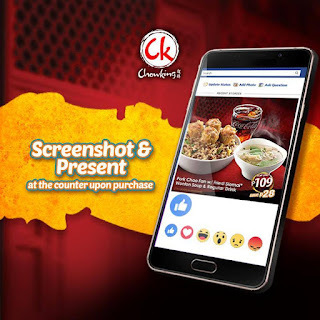 Screenshot and present this e-coupon upon purchase at any Chowking store. E-coupons cannot be combined with other promotions. 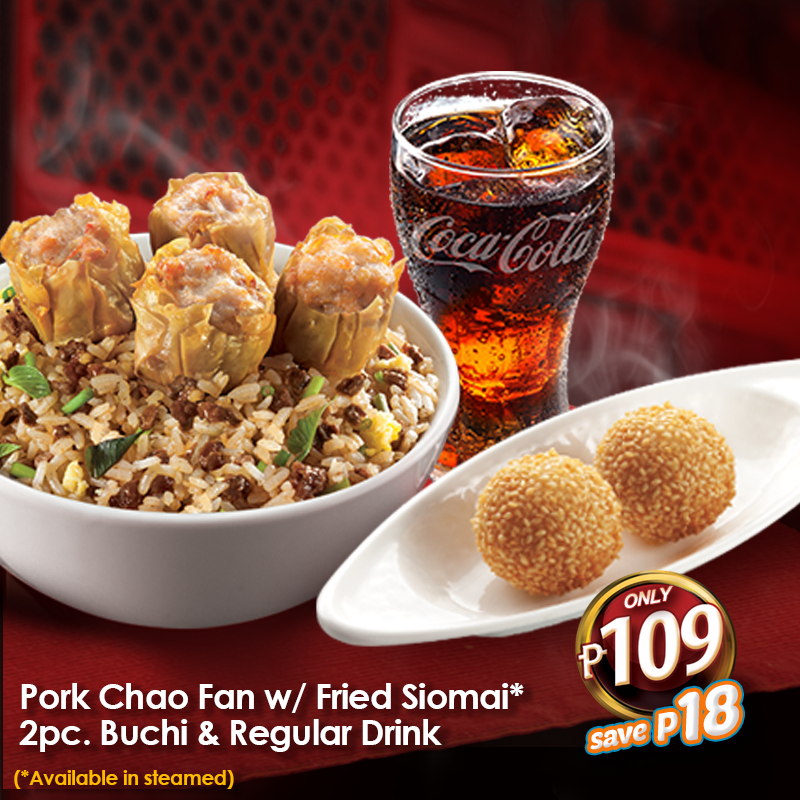 Save P18 when you get Chowking's Pork Chao Fan with Fried Siomai + 2pc Buchi + Regular Drink for only P109! 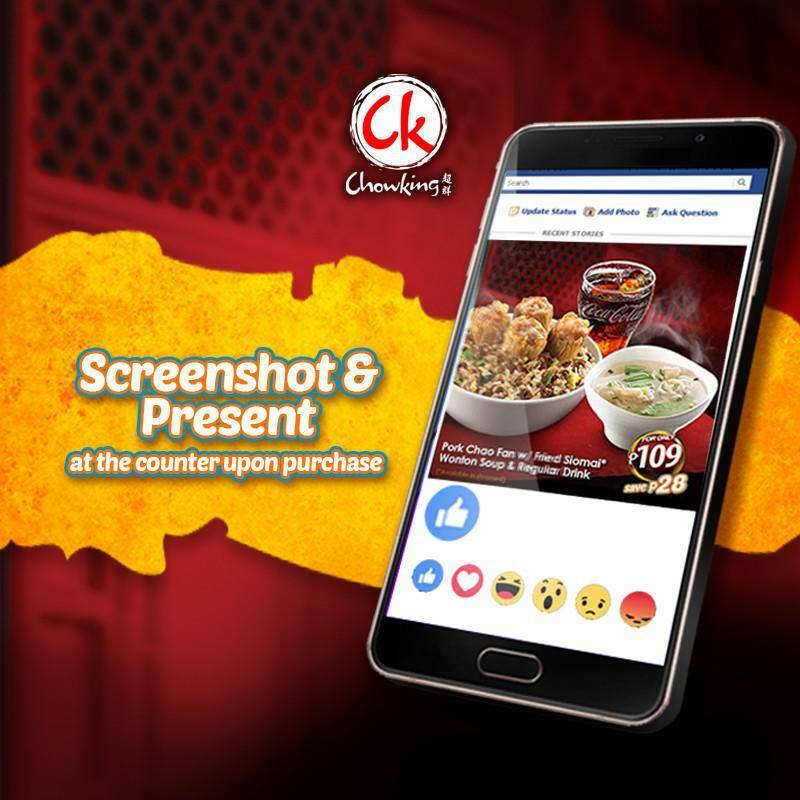 Screenshot and present this e-coupon upon purchase at any Chowking store. E-coupons cannot be combined with other promotions. 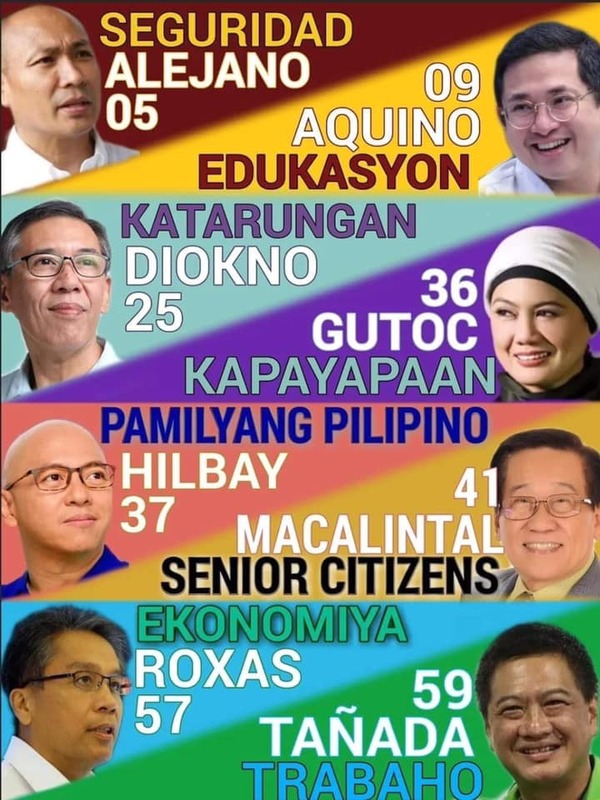 In the purchase of goods and services which are on promotional discount or the discount provided under the Expanded Senior Citizen Act of 2010, whichever is higher.